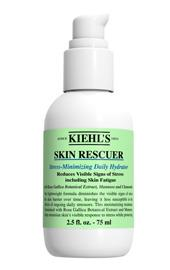 There’s snow on the grounds so it’s exactly the right time of year for a review of Kiehl’s Skin Rescue. I make no secret of the fact that I love Kiehl’s skincare. I find their no-nonsense approach and lack of gimmicks extremely satisfying and I find their products do exactly what they say they will. They don’t go overboard on perfumes either meaning they work for sensitive skin. 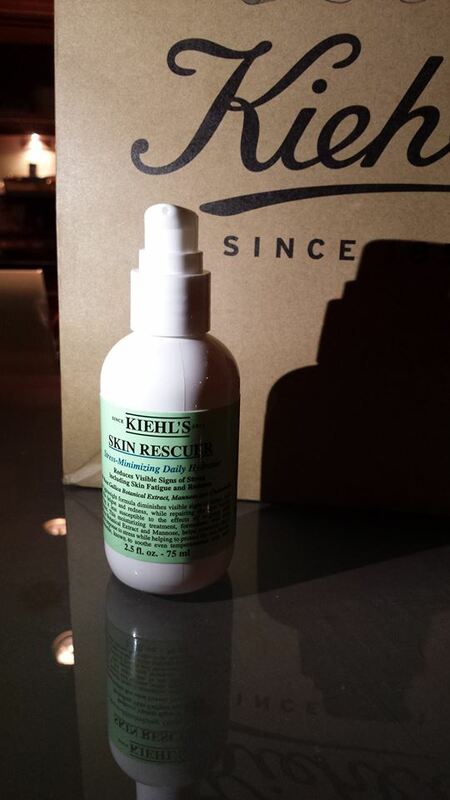 My eczema prone-skin, particularly my hands, has never broken out from using a Kiehl’s product. I popped in to Kiehl’s near Victoria Square in Belfast to have a chat with the lovely Paula recently. My skin is generally good but I get red patches on my cheeks when it’s particularly cold or when I’ve had a drink the night before. I don’t mind the occasional blemish but I hate seeing this red skin and find it hard to cover up. Paula recommended the Skin Rescuer for me. It’s suppose to calm irritated skin. I don’t have itchy or flaky patches on account of an oily complexion but I have certainly noticed a difference. Online review call Skin Rescue botox in a jar. I wouldn’t go quite that far but there has been a definite reduction in those horrible red patches on my cheeks. I can still see them but not many people will be standing a centimetre from my face and using a magnifying mirror the way I do! Under Paula’s advice I’ve used Skin Rescue morning and night. At night I add Kiehl’s Midnight Recovery and in the morning slather my usual moisturiser (at the moment I’m using a Vichy one) over the top. I tend to use lots of product in the winter to protect my skin from the cold. You don’t get a huge amount for the £30 price tag but you only need a couple of pumps for your whole face so a little goes a long way. My skin feels silky smooth now and the Midnight Recovery Oil only takes about 20 minutes to sink in, quite impressive for my skin. Of course this won’t work for everyone so it’s worth popping into the Kiehl’s store in Corn Market for a skin consultation but you can count me as a fan.